Headaches are known to be brought on by common daily life stress such as traffic, work and child care. For many, headaches can even lead to severe migraines that are hard to treat. What exactly causes headaches has been studied for years, the most recent research has found that what we eat and when we eat it plays a significant role in both headaches and migraines. 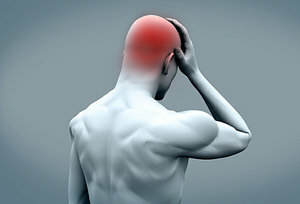 There are various vessels that play a role in headaches and what one eats can cause high fluctuating blood sugar levels to spasm and cause pain. If you are often getting headaches when eating certain foods - make a note of it and talk to your doctor. Monosodium glutamate (MSG) – a common flavor enhancer, but also found naturally in such foods as tomatoes. There are many food places that cook with MSG, if you suspect there is an eatery you love that cooks with MSG make sure to make a note of it and pass it up the next time. Nitrites – these preservatives are found in processed meats and some cheeses. Processed food always seems to mean bad news for your health, the more you stay away from it the less health conditions you will have to worry about. Amines – common compounds found in a wide range of foods, including spinach, tomato, potato, small whole fish, tuna, liver, dark chocolate and alcoholic drinks. Other things that can play a role in headaches is caffeine. Some people even get headaches from caffeine withdrawal. If you suspect you are getting headaches more often after consuming any of the above, you need to be assessed by a qualified health practitioner. It can make a huge difference when it comes to pain relief and the onset of future headaches.